SCVHistory.com | Hart High School | Louden Stanford, Newhall's Own John Muir | By Dennis McLane. Remembering Louden Stanford, Newhall's Own John Muir. 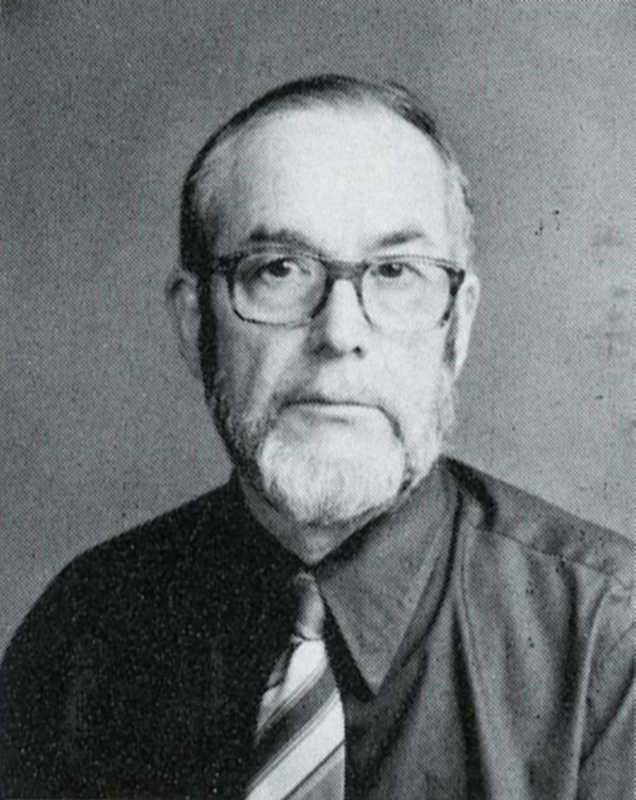 Louden Stanford in 1978. Click each image to enlarge. 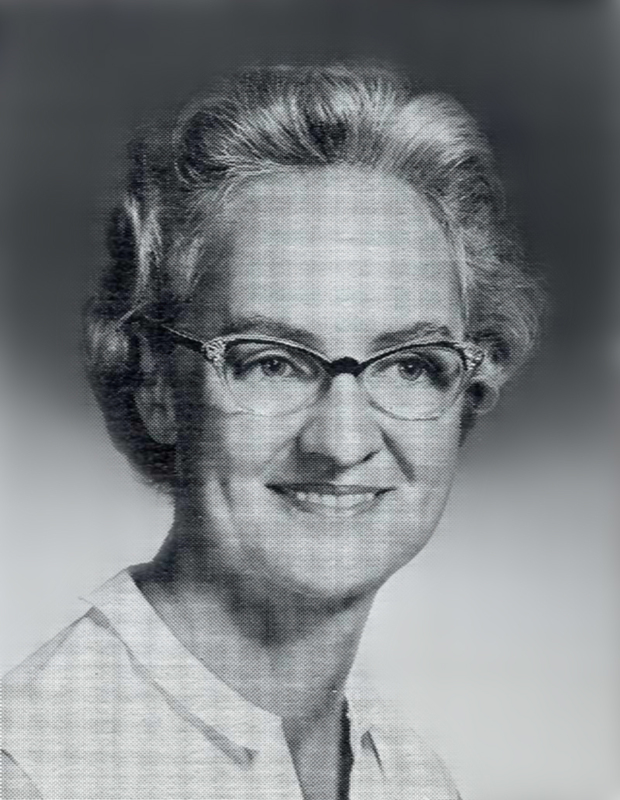 Louden R. Stanford would become one of the most revered teachers at William S. Hart High School. He not only taught his students biology but also instilled in them a love for the natural world. He inspired his students to greatness. In this role he was not only a teacher but a mentor, as well. Many of his students would go on to become doctors, lawyers, nurses, park rangers and a variety of other professional occupations. He made the kids of the small towns of Newhall and Saugus realize their potential to make great contributions to our country and society in general. As it turns out, Louden Roberts Stanford was a gift to Hart High from the State of Idaho. The Stanford family's journey to Newhall is a remarkable one. Louden Stanford was born Jan. 17, 1916, in Nampa, Idaho. His parents were Morris H. Stanford and Grace E. Roberts. Morris was born in 1870 in Guilford Township, Wabasha County, Minn., to Joshua Stanford and Delia Rider. Grace was born in 1874 in Mapleton, Blue Earth County, Minn. Morris and Grace were married in 1898 in Minnesota. Around 1900, the area around Latah, Wash. (near Spokane), was opened to settlement and homesteading. Morris and his father Joshua filed claims for farmland there. Morris was also a dry goods merchant in Latah. Morris proved up his claim and received patent to his homestead in 1910. Their first two children were born in Latah. Then in about 1911 they were living in Montana, where another two children were born. About two years later, Morris moved the family to Homedale, Idaho, where he was a farmer. In 1916, they moved to nearby Nampa where Morris was engaged in a grocery store business. He sold the business in 1921 and started the Stanford Variety Store in Nampa. This store would survive as a Nampa institution until well into the 1960s. Louden, or "Stan" as his friends would know him, was the only one of the Stanford children born in Idaho. He was the youngest in a family of five children: Harold, Beryl, Lyle, Gene and Stan. By the 1930 census, the household consisted of his parents, his brother Lyle, and Louden. Harold would take over the family business, leaving the younger boys to find their own way in life. It is not certain when Stan first developed a passion for nature and the outdoors. He came of age in the 1920s and 1930s in then-rural Nampa. Nampa had started as a railroad town in the 1880s. But around the turn of the 20th Century, the Bureau of Reclamation built several projects that brought irrigation to the sagebrush plains that surrounded the town. This led to the development of farms that were crisscrossed with canals and ditches. The New York canal flowed into a large, 9,000-acre manmade lake called Lake Lowell. Wildlife would follow the water, and the area attracted a significant number of waterfowl and other birds. President Theodore Roosevelt gave the designation of Deer Flat National Wildlife Refuge to the lands surrounding Lake Lowell in 1909. This refuge was about five miles from town. Just north of the valley in which Nampa is located is the start of the Salmon River Range of the Rocky Mountains. The national forests that are situated in these mountains stretch for hundreds of miles and in those days were large expanses of wilderness. Then to the south is the Snake River Canyon, home to the largest concentration of raptors, even today. So the Stanford boys grew up in an area surrounded by farms, wildlands and natural environs. Stan's brother Lyle was five years his senior. They seem to have had similar interests in nature and the outdoors. It was obvious in later years that Lyle had been a tremendous influence on him in this regard. 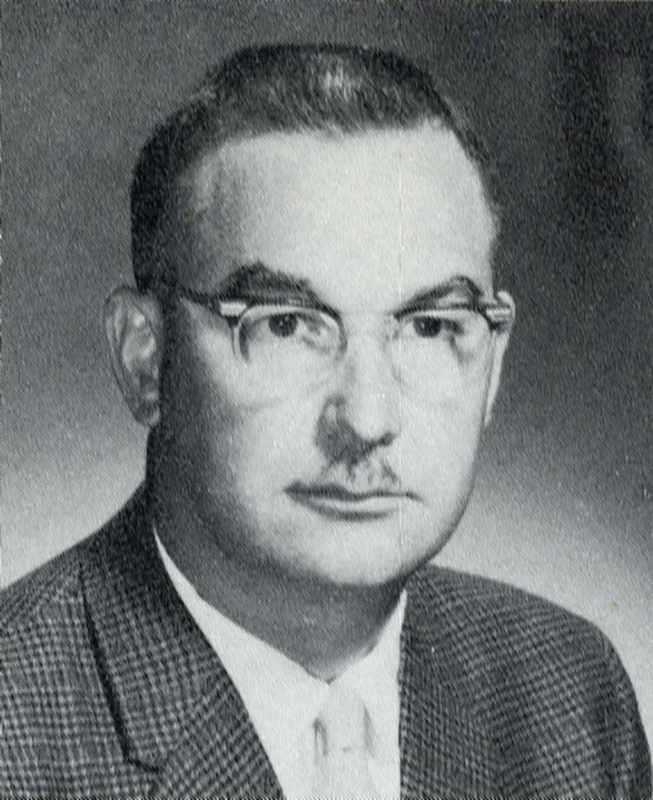 Lyle Stanford studied biology at the College of Idaho in Nampa and graduated in 1933. He eventually earned advanced degrees and became Dr. Lyle Stanford. 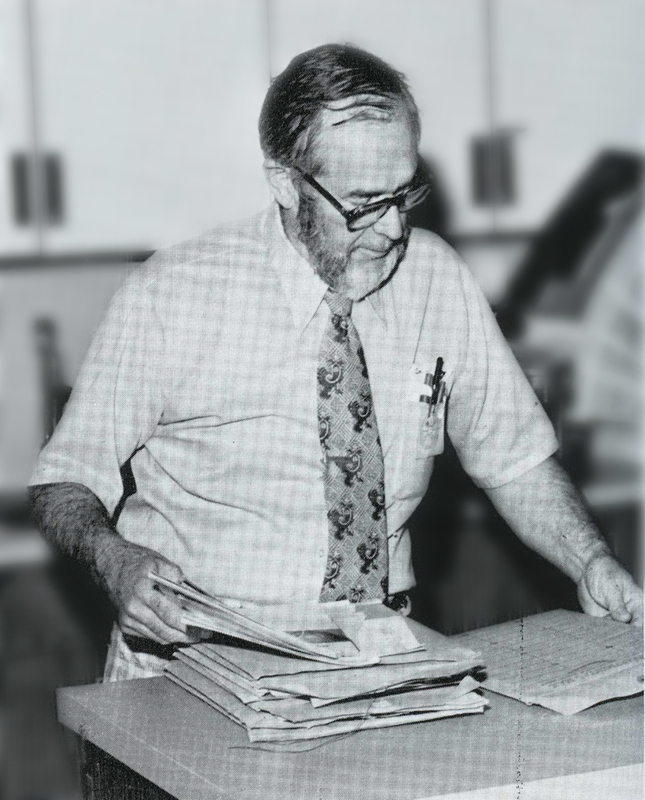 He then worked as a professor of biology at the College of Idaho from 1942 to 1976, eventually becoming the head of the biology department. Lyle encouraged his students to be aware of native plants and wildlife. He led field trips throughout Idaho and some trips to Mexico. He would become well-known in Idaho for his interest in protecting natural resources. He was a founding member of the Idaho Environmental Council, a predecessor to today's Idaho Conservation League. This is the "shadow" in which his brother Stan would follow. The famous naturalist John Muir began his passion for nature by taking up plant collecting while he was a student at the University of Wisconsin in the 1860s. About 70 years later, young Stan would pursue a similar interest as a college student engaged in plant collecting and identification. Stan graduated from Nampa High School in 1933 when his brother Lyle was graduating from college. But rather than follow his brother at the College of Idaho, Stan studied biology at the University of Washington in Seattle. Stan was recorded in the 1940 census in Seattle as a university student. His roommate was Richard Northcraft. Stan graduated from the University of Washington with a B.A. degree, probably in 1941 or 1942. In the summer of 1941, he conducted some field studies in plant collection and identification in Coahuila, Mexico, with colleagues K.L. Retherford and Richard Northcraft. From that field study, he collected and submitted samples of pinus johannis and pinus ayacahuite to University of Arizona Herbarium. He collected and submitted samples of cuscuta jepsonii, aster northcraftii and cuscuta glabrior to the University of Washington Herbarium. The Harvard University Library of the Gray Herbarium has a "semi-historic letter" on file from Richard Dunn Northcraft that was co-signed by Hugh Landes and Louden R. Stanford. Stan was making a name for himself in field biology. Pearl Harbor happened in December 1941, and Stan would soon be caught up in World War II. He entered the U.S. Army in April 1942 and was in training at Camp Barkley, Texas, in May 1942. His military record indicated that at the time of his enlistment, he had four years of college and a civil occupation of secondary school teacher. Camp Barkley was the home to some of the Army's medical training schools. With his academic background in biology, Stan served as a technician third grade, which was several grades above a normal draftee or enlistee. He worked as a medical lab technician in field hospitals in the South Pacific at New Caledonia and other places. Stan spent a great deal of his military time looking at microscopic slides for soldiers with dysentery. He decided then that medical lab work was not the branch of biology he wanted to pursue and determined that teaching biology would be a better fit. He was discharged in 1945. He returned to Nampa and married Helen Rutledge of Caldwell, Idaho, in 1947. Helen was a graduate of Melba High School. Then they were off to Latah, Wash., where Stan taught high school for a few years. The high school there was still being conducted in a school house built in 1909. Stan and Helen then moved to Newhall in 1955. 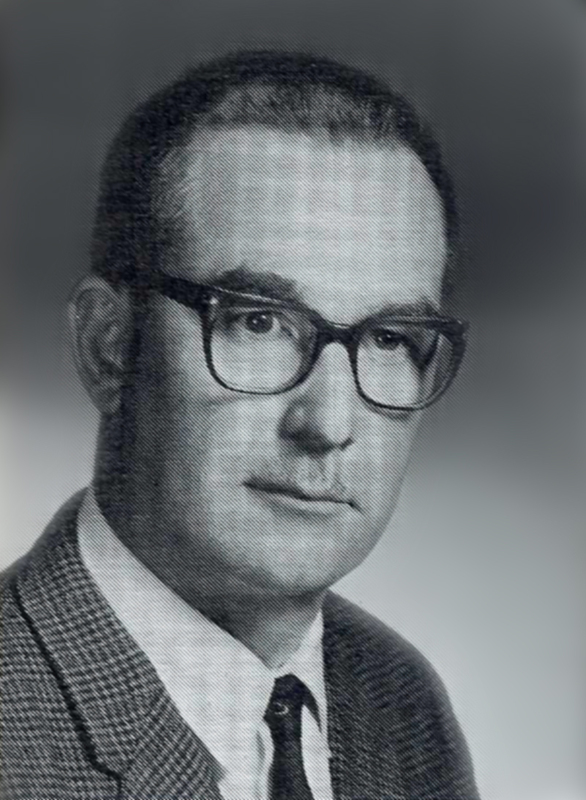 Stan became a teacher at William S. Hart High School. Compared to the small school in Latah, even the early Hart High School must have seemed rather large to them. Helen also got a job at Hart as an administrative assistant and later worked for the adult education program. Stan soon went on to earn a master's in arts degree at San Fernando Valley State College. His friends knew him as "Stan," but my fellow students and I would never think of calling him anything but "Mr. Stanford." He always returned this respect by never calling us by our first names, but rather as "Mr. McLane" or "Miss Peters." Much like a college professor, he would call you by name and ask you questions from the material being studied. Your diligence in study was rewarded by his simple answer: "You are correct, Mr. McLane." One of the classes he taught was advanced biology. Today, it would probably be known as advanced placement biology, and a student would get college credit for it. You didn't just sign up for this class. First, you had to have completed basic high school biology with more than average grades. Second, you had to meet with Mr. Stanford for an interview as to your college plans, career aspirations and interest in working hard in his class. The first semester of advanced biology was anatomy and physiology. This was the part of the course that was about human life. It was more appealing to the students who aspired to future occupations as doctors, nurses and medical professionals. The second semester was the "natural history" portion of the course. However, the textbook was more related to the basic study of ecology. We were instructed at the beginning of the course that we would be required to do three unusual things. We had to collect our own plants for a personal herbarium; we had to keep a list of birds that we observed; and we had to make an insect collection. We were introduced to Saturday field trips to the hills and canyons around Newhall right away. By the end of his course, you had been exposed to the wonders of human life and how they were interconnected with nature. Mr. Stanford worked toward fostering a student's interests. It was in this that I and others began to see his "naturalist" qualities. He introduced us to literature such as "Silent Spring" by Rachel Carson and "Sand County Almanac" by Aldo Leopold. He showed us his collection of bird and mammal study skins and the insect specimens he had collected on his Mexico expeditions. I was privileged to visit at his home one time. His backyard was amazing. It was planted and stocked with many native California plants. It was the closest thing Newhall would ever have to a "botanical garden." He often brought to class some samples from his yard to teach us how to examine and identify these plants. In about 1965, Stan and Helen bought an 80-acre piece of mountain property near Porterville. They referred to it as their "wilderness ranch." It was in the Southern Sierras, south of Sequoia National Park. It was a beautiful place and even had some giant sequoias growing on or near the property. I and a few other students were privileged to be invited by Mr. Stanford to visit his wilderness ranch. But the deal was, we had to plant hundreds of Douglas fir seedlings on the land. I got to ride with Mr. Stanford in his old, green 1950s Chevy pickup. Upon arrival at the ranch, my first impression was that the "cabin" reminded me of the "shack" described by Aldo Leopold in Sand County Almanac. This was where Mr. Stanford practiced his own personal environmental land ethic. Further, he was unfettered by the classroom rules and freely expressed himself on his ideas about the natural world. Then with the Sierras and sequoias as a backdrop, I began to see him as a contemporary John Muir. On our way home from the ranch on the interstate near Bakersfield, he spotted a roadkill barn owl on the side of the highway. He pulled over and picked it up and determined it was fresh and had little damage done to it. He put it in a bag and handed it to me and said he wanted me to prepare the specimen as a study skin. It is awkward to say I was honored to receive the gift of roadkill. Mr. Stanford would continue to teach, cultivate and inspire students for many years to come. I was just one whom he helped along the way. He retired from Hart High School in 1985. He was described by his colleagues as "a teacher's teacher." Mr. Stanford died in 2010. He and Helen never had children, and at the time of his death his caregiver just happened to be one of his former students. It has now been 50 years since I first met Mr. Stanford. With the interests and background he instilled in me, I went on to have a career in the protection of natural resources. I went to college in a program aimed at such occupations. When I got into some upper division biology courses, often what I was learning and studying had already been taught to me by Mr. Stanford. It was then that I came to the realization, "everything I needed to know in life, I learned in Mr. Stanford's class." After college, I got a job as a State Park ranger for the California State Parks system. Later, I took a job as a ranger with the U.S. Bureau of Land Management. I eventually became the Bureau of Land Management's first Chief Ranger in Washington, D.C. Today I am retired and living in Boise, Idaho, just a few miles from where Mr. Stanford was born in Nampa. Dennis McLane is a member of the Hart High Class of 1969.